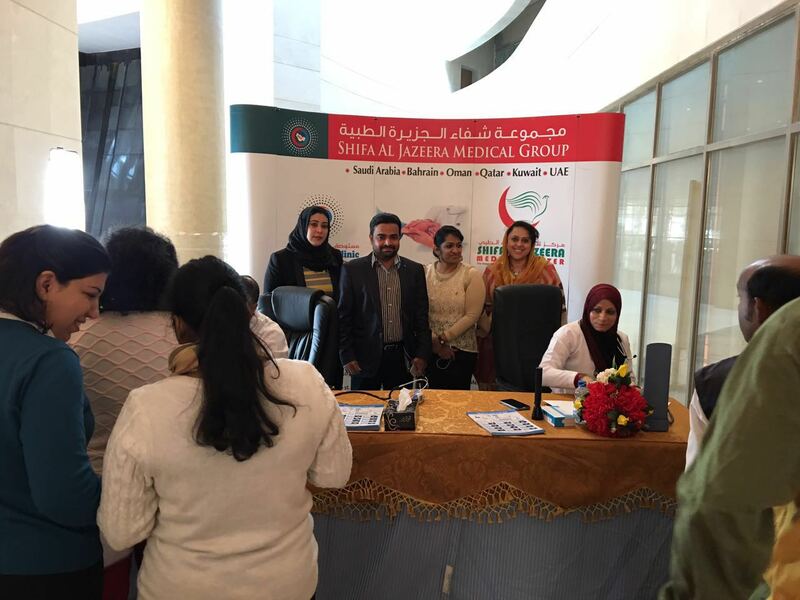 Al Nahil Int’l Clinic conducted a FREE MEDICAL CAMP at KISR (Kuwait Institute for Scientific Research) on the 7th and the 8th of February 2017. 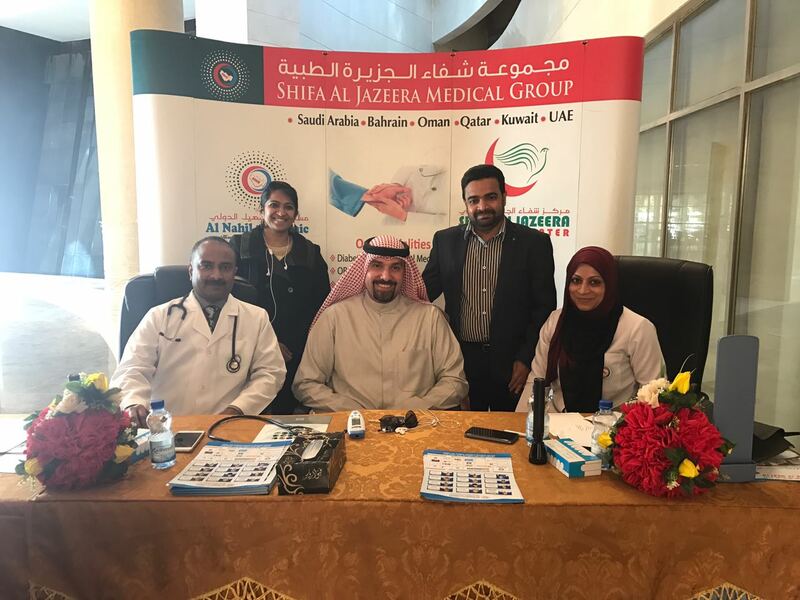 Al Nahil Int’l Clinic the 3rd Branch of Shifa Al Jazeera Medical Group is a fast growing Medical Service Provider and they quite often conduct FREE Medical Camps as part of their Social Commitment towards the Betterment of Health. We strongly uphold the message “Health is Wealth”, at each of our CAMP sites and ensure to educate the people who step in to our counters ,expressed Mr. Abdul Aziz, General Manager of Al Nahil Int’l Clinic. 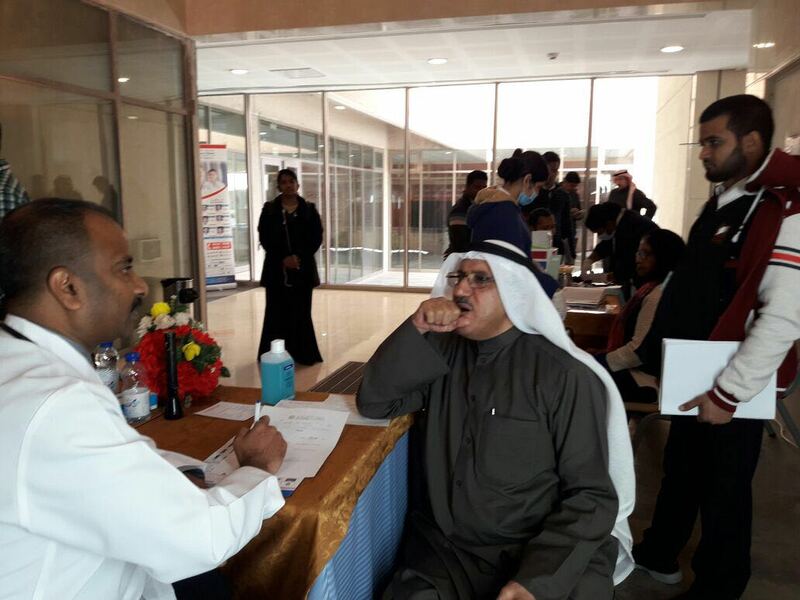 Dr. Liansa Philips and Dr. Anu Dinesh conveyed that it was a pleasurable experience to be at KISR and meet the employees there during the Medical Camp. Close to 350 employees from the various operational arenas of KISR came in for the FREE Checks. It was a bewildering recognition that 40 % were diabetic. Though a few were on medications, the major realization of close to 20 % of attendees, who were newly diagnosed of Diabetes were quite astounded about the findings. It is very important to spare some time for better health checks amidst their busy work schedule, advised the Doctors who participated. 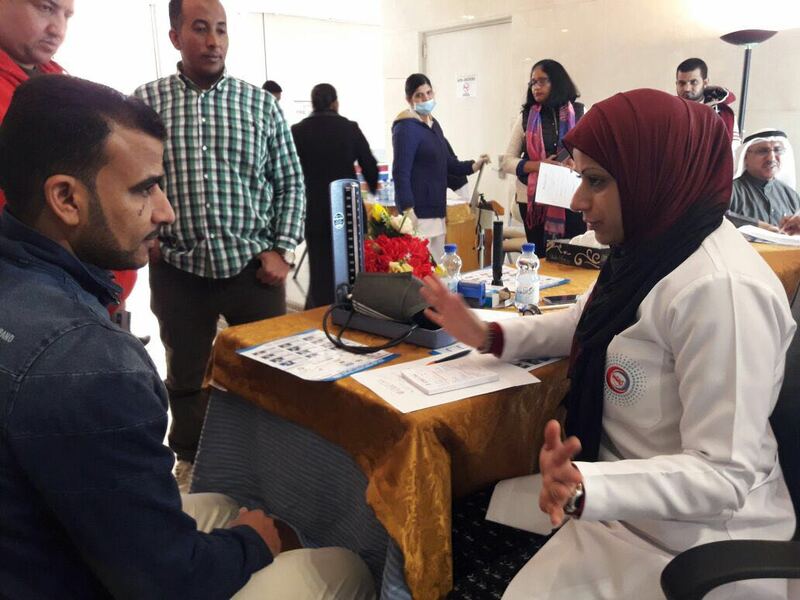 The camp attendees were in high appreciation towards the initiative taken by Al Nahil Int’l Clinic and KISR to open up an avenue where the individuals gained a FREE Basic Medical awareness, and has requested to keep such camps going on frequently. The team from Al Nahil Int’l under the leadership of Mr. Abdul Aziz, comprised of Nursing Staff Manju and Betty along with the Marketing team Ms. Mona, Ms. Shahida A, and Ms. Lucia Williams and beyond mention Doctor’s Liansa Philips and Anu Dinesan.